← a Crazy Quilt block for Easter! I have introduced a line of stitches shown in red to help align the second smaller hooping, and this is repeated right at the onset of this design so you will know straightaway if you positioning is accurate! I think the finished result looks better than the one shown next but that is just my own personal preference. 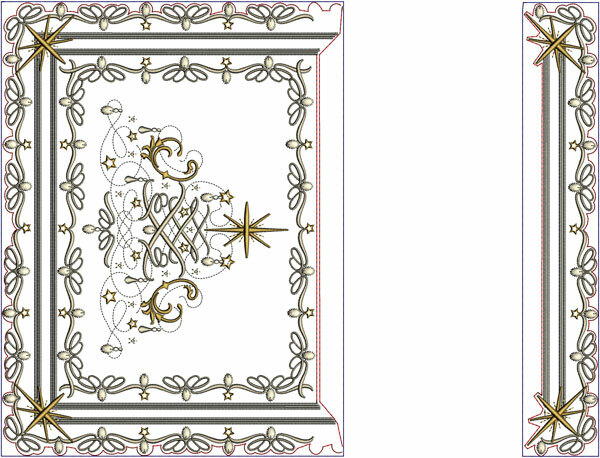 These two hoopings will create this design with small stars at the side. 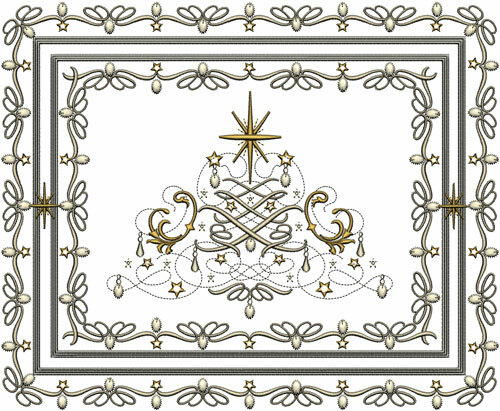 Elegant Christmas Messages 4 will be released around Tuesday April 14th, 2015 and members of the Graceful Embroidery group can now pre order the designs. If you have any comments I would love you to email me or make them here on the blog. 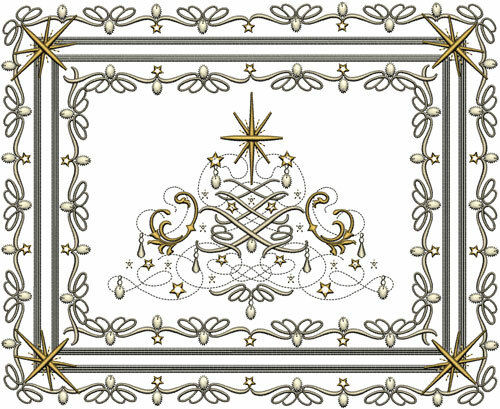 You will have plenty of time to embroider some exciting projects for December. Watch out for part 2 on this subject which will be publioshed before the designs are released. 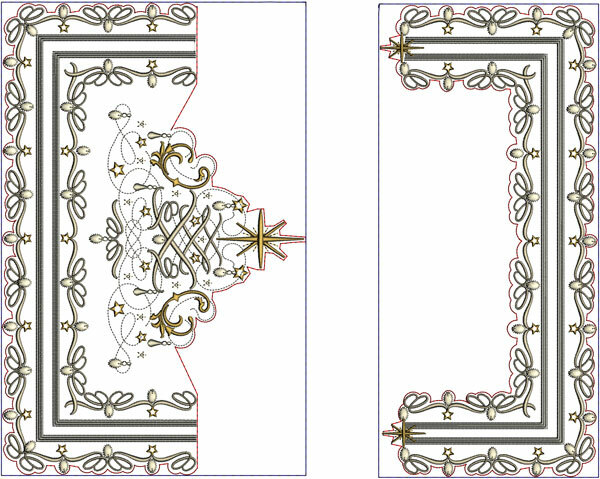 This entry was posted in Discussing machine embroidery, Embroidery projects, New Designs and tagged Christmas, Outline alignment stitches, Placement of designs. Bookmark the permalink. Hazel, would it be possible for those of us who have the Viking Diamond use the Magestic hoop for the large design which incorporates 2 hoopings?